Over recent years I have entered several photography competitions with recognised professional organisations based in the UK. These are competitions based purely on photographic ability with images judged on their technical merit, lighting, direction, composition, editing and impact, through winning such awards we are demonstrating our ability, skill and knowledge of wedding photography. Below are a selection of our award winning images featuring weddings, portraits, landscape, wildlife and open category entries. The results from The Society of Wedding and Portrait Photographers monthly competition came out early march and I managed to achieve two Gold awards and two Highly Commended awards (These are one down from a Gold so technically the equivalent of a silver). 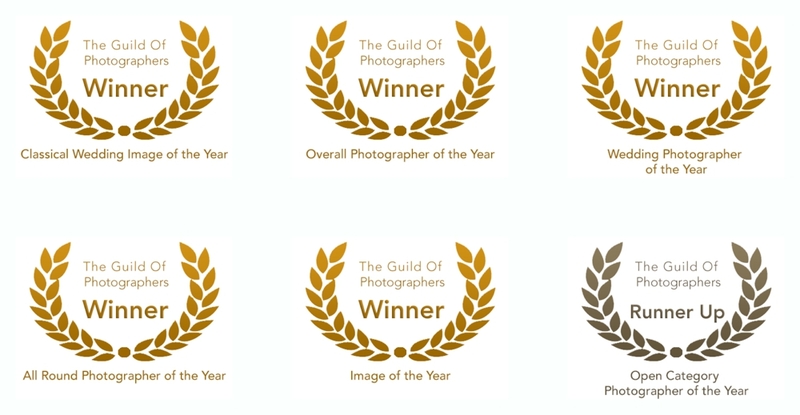 A very productive start to the year with Two Golds, Three Silvers and four Bronzes from the Guild Of Photographers. I entered 9 images and was very pleased to see all 9 win awards including two golds, this was especially pleasing as out of several thousand entries only four images were awarded Golds and I had two of them. It’s been a whole year without entering any photography competitions so I was very pleased this week to receive two Highly Commended’s (one down from a gold)from the Society of Photographers (SWPP) for two images. In the landscape category was a photograph of Kilchurn Castle in Scotland taken just after sunrise and in the travel section a photo of Baker Street underground station. Above: Winner of a Gold Award with the SWPP in March, the Kingfisher photograph was also awarded the Judges Choice as the judges favourite image of the month. 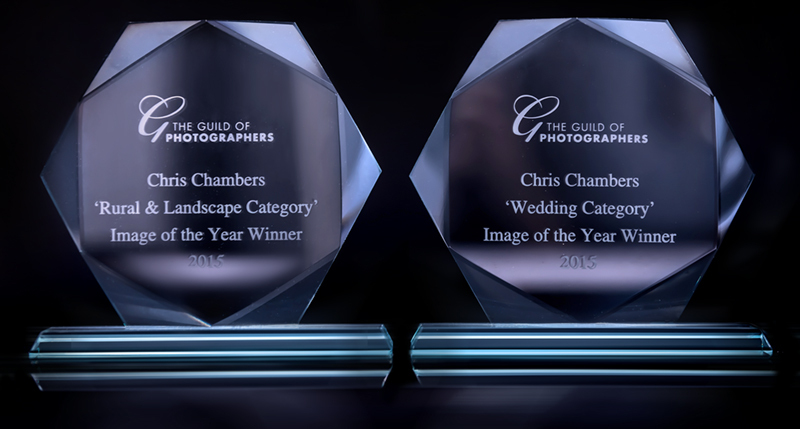 The annual awards evening for the Guild of Photographers saw me winning Landscape Image of the Year and Wedding Image of the Year, these awards are judged from the 10,000 plus images with two scooping top prizes. 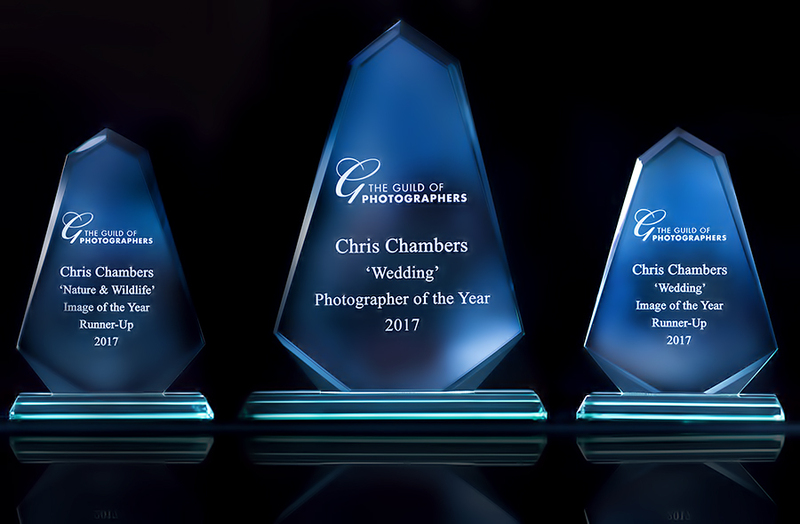 The Societies (The Society of Wedding Photographers) awarded me the top prize at their annual awards ceremony in London, Overall Photographer of the Year complete with a prize valued at over £5000. During the same evening I was also runner up in the landscape category and winner of the Wildlife Photographer of the Year. 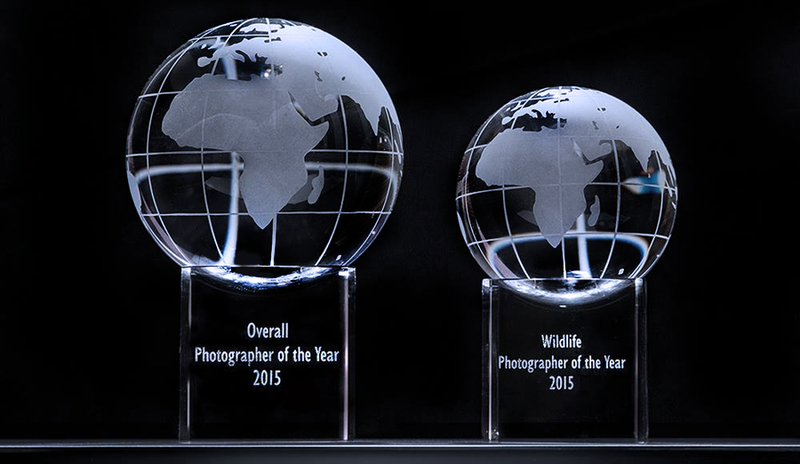 Above: The trophies I won at the Guild Of Photographers annual awards evening. A hugely successful night at the yearly awards ceremony for the Guild Of Photographers where I was awarded Wedding Photographer of the Year, All Round Photographer of the Year, Overall Photographer of the Year, Classical Wedding category Image of the Year, and out of around 10,000 images entered I won Members choice Image of the year.